With the summer sales in full flow, there’s never been a better time to get shopping. Especially since the Mango sale just started, and as expected, it’s pretty epic. From printed midis to chic maxis ideal for summer holidays, the dress department is our first port of call. Some styles are now even half off. Don’t forget about the accessories section, though; it's loved by influencers, and this is the perfect time to bag yourself a pair of statement earrings (or three) at a snip. We’ve also got our eye on a pair of block-heel mules (now just £20) and a polka-dot midi dress (currently £30, but selling fast). Ready to bag yourself some Mango greatness? Keep scrolling for the best sales buys we’re adding to cart right now. 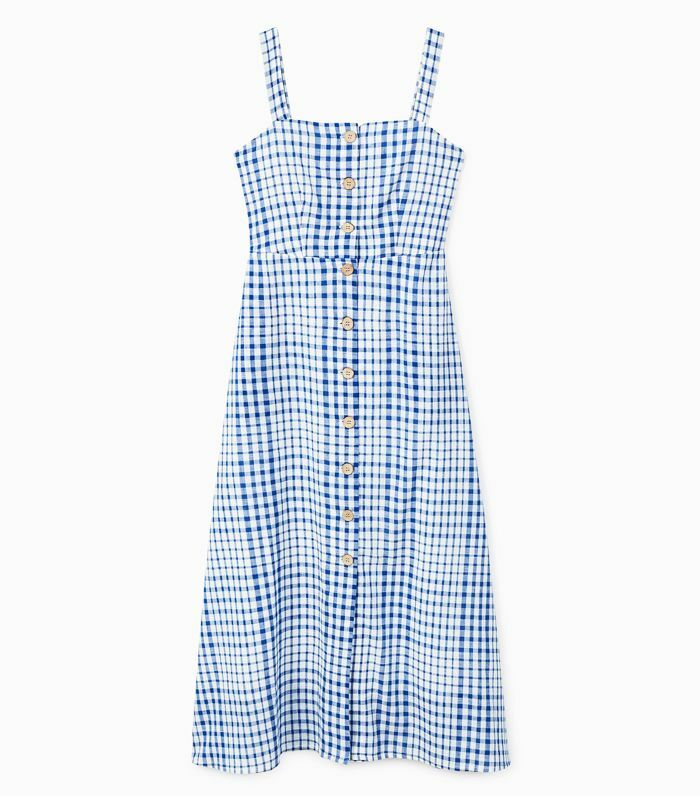 The best way to do gingham this summer. We’ll wear these with everything. Half-price statement earrings? We don’t need convincing. Lucy Williams has these button-front jeans. Wait—40% off polka dots? We’re in. You’ll see this puff-sleeve shape everywhere this season. Whoa—40% off cropped skinnies? Sold. These also come in silver. Rainbow stripes are a huge 2018 beach trend. These are so fun (and 50% off). This is perfect for holidays. It’s a great time to invest in classic pieces. Keen for more sale shopping? See our edit of the best summer sales buys on the internet right now.